Serov has been hailed as the defining Russian artist of the transitional period between the late 19th and early 20th centuries, perhaps the best portrait painter in Russian art, whose “early rise to the top is almost unparalleled in the history of art”. What factors contributed to this artist’s greatness? Could it be an inherent talent? He was born into a creative family and immersed in an artistic environment from childhood; indeed, both his parents were famous composers. Or, could it be his drive and his determination to succeed? 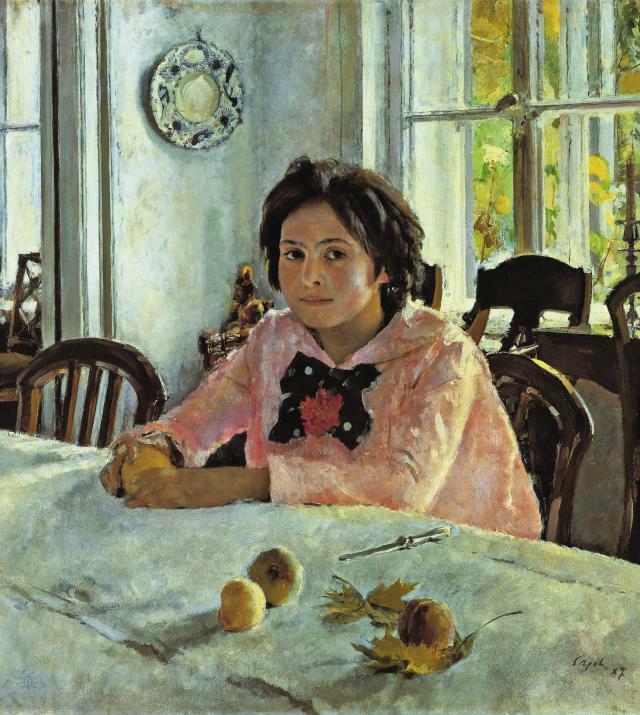 There’s no doubt that Serov was a hard worker and a competitive artist, who strove to be at the forefront of the new artistic movements of his generation. He worked tirelessly to perfect his drawing skills and painted everything he could lay his eyes on. What about his passion for the works of the greats? He began, at a formative age, to pay attention to the “‘high craftsmanship’ that characterised the Old Masters” which “led him to understand what an artist should aspire to”, inspiring him to go perfect his technique and create technically excellent pieces of art. Although these factors surely had an impact on the artist himself, they are representative of many talented and determined artists, so what was it that made Serov stand out? Valentin Serov, Girl with Peaches. Portrait of Vera Mamontova, 1887. Oil on canvas, 91 x 85 cm. The State Trekyakov Gallery, Moscow. Valentin Serov, Sunlit Girl. Portrait of Maria Simonovich, 1888. Oil on canvas, 89.5 x 71 cm. This nepotism served him well, as it was Antokolsky who recognised the youngster’s talent, delivering him “into the hands of Repin”, who taught and befriended his young colleague: “Repin was in France at the time on a postgraduate assignment from the St Petersburg Academy of Arts, and Serov began attending his studio.” Serov assisted Repin in several large compositions he was doing at the time, drawing the barn that can be seen in the background of Repin’s Send-off of Recruit. 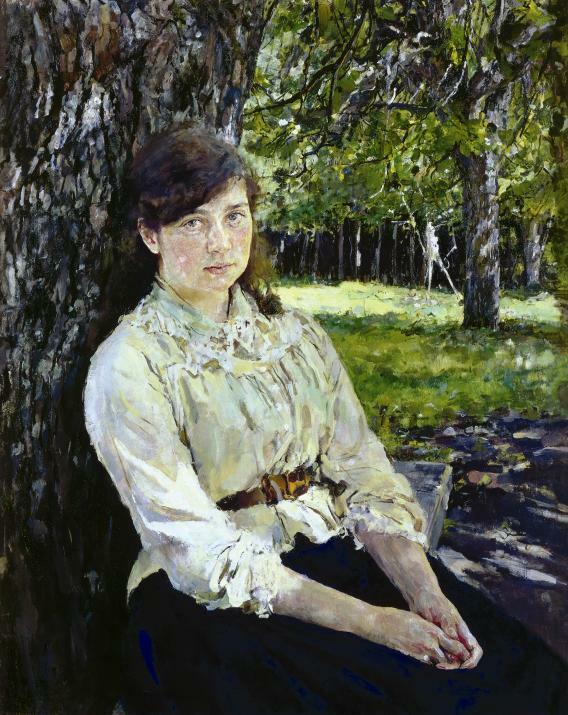 After Repin had taught the boy all he needed to know, his connections secured Serov a place in the Russian Academy of the arts, where he was taught by Pavel Chistiakov, “the only man in the Academy capable of teaching a novice the basic principles of art”. Although some artists have had humble beginnings, many struggle to make ends meet during their lifetimes and, like Van Gogh, their talents remained “undiscovered” until after their death. Would Serov have reached such dizzying heights were it not for the excellent training he received through his family connections? Wealth and contacts seem to go a long way in the art world. If you’re looking to be a prize-winning artist, maybe take a leaf out of Serov’s book – a bit of light hobnobbing certainly wouldn’t go amiss. Quoted text from the illustrated art book Serov, by Parkstone International. Order your print copy or e-book to read more about this extremely talented and well-regarded Russian artist.